Now when I thought about writing this blog I thought that was a great title. “Being ticked off” – but then I bethought myself and wondered if this is an expression that is known or even used in Canada. Growing up in the UK and then in South Africa ticked off could be one of two things – maybe you got told off at work or at school as in “My boss ticked me off because I was late” …. or maybe you got annoyed or fed up with someone and then you would say “She really ticked me off when she told me she couldn’t come to our meeting”. So now that we are all clear on what being ticked off could mean in different contexts let me share a tick story that really ticked me off but even today provides a good chuckle. When we lived in South Africa we would love to take a road trip driving from Johannesburg all the way down to Cape Town passing through many of the little towns along the way. While spending an overnight in one of these small towns we decided to head out for a walk one afternoon. We left the path and climbed over tree trunks and undergrowth really enjoying the solitude of being away from everything. As we sat down on a huge fallen tree trunk just to catch our breath we reflected upon how lucky we were to be able to enjoy such an idyllic spot. Oh. My. Goodness. The scenic tree trunk that we had used as a bench was the home to a nest of ticks. And yes – they were all over us. Now it doesn’t matter whether you are in Africa, Asia or good old Canada. Nobody wants tick bite fever. And we had to do something about it – quickly. Remember – were were in a tiny little town – not even a hospital or clinic – but then a brilliant idea…. this was farming country. There HAD to be an agricultural supply store. We headed over there without a moment’s delay. “Do you have any sheep dip?” – we asked. Now we did not look like farmers, we did not sound like farmers and we were strangers (in this part of the world everybody knows everybody else) – so understandably the fellow at the agri store was a bit puzzled. “What do you want sheep dip for?” he asked. Um …. this is embarrassing, but we sat in a tick nest and now we are covered and even as we were explaining this my imagination was running riot imagining these little ticks …. well ….. I will leave that to your own imagination. When we explained he first had a good laugh and then provided us with a package of powdered sheep dip – we beat a hasty retreat back to our hotel and filled the bath with hot water and dumped the whole package into it. “OK, you first” said my husband (the perfect gentleman!). Yuck it was disgusting. And I had to wash my hair in it. We both walked around for days smelling like chemical disasters. The smell of sheep dip is pungent…. but we never got tick bite fever – and we will never just sit on a log in the forest without checking it properly. We still talk about it today – I guess that is what makes travel so special. The time passes quickly but the memories remain and turn into good stories…. a rather big suitcase and guess who is inside it? His wife. What??? Yes they were travelling by train from Moscow to Nice. That’s 47 hours of train travel. A long long time to be in a suitcase. As they entered Poland the border guards inspected the case and they were totally taken aback to find a 30 year old woman inside. And why I hear you ask. Not to save the money on the train fare. Nope. She didn’t have a passport. What she didn’t know was that she didn’t need a passport to enter Poland. Oh well – there’s one born every minute. 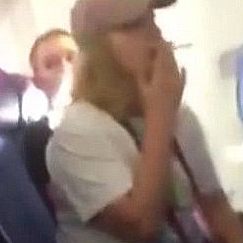 Then there’s the lady who decided to have a few puffs on a US domestic flight while waiting for take off. Quite brazen she was and then when the flight attendant asked her what the heck she was doing she blamed the guy sitting next to her. Of course these days nothing is private so the whole incident was filmed by a fellow passenger. And finally the tip of the week – how to avoid those excess luggage charges. 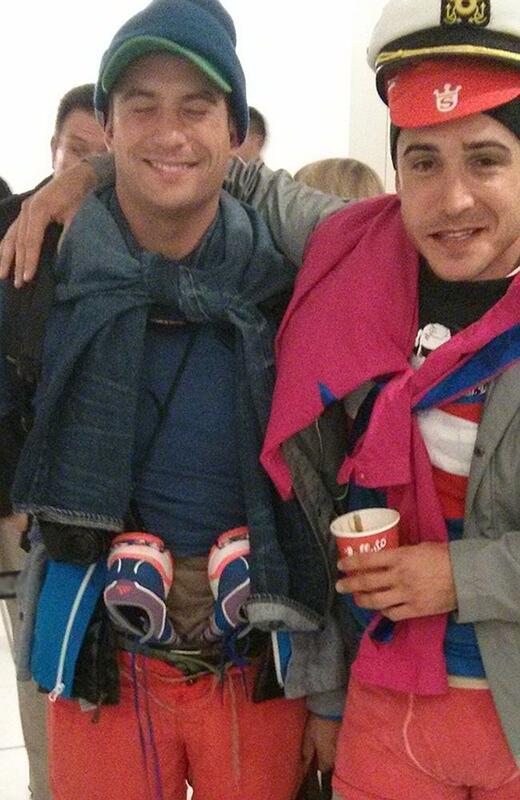 Just do what these lads did when they found they would have to pay $130 in excess luggage. They just opened their bags and put on layers and layers of extra clothes, shoes tucked into waistbands, several hats. But…. it might have backfired on them because the flight attendant accompanied them to the door of the aircraft to make sure they wore all of these clothes the whole way home. I feel uncomfortable just thinking about it!